Cesar Rego holds a full professor appointment at the School of Business of the University of Mississippi. He received his first degree in computer science and applied mathematics from Portucalense University in 1990, a master of science in operations research and systems engineering from the Institute of Technology of the University of Lisbon in 1993 and a Ph.D. in computer science from the University of Versailles in 1996. He also was awarded an Habilitation (post-doctorate degree) from the University of Versailles in 2012. 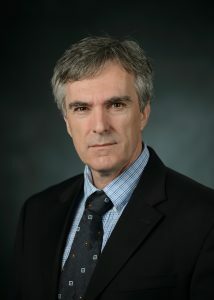 Professor Rego has held permanent faculty appointments at Portucalense University and the Faculty of Sciences of the University of Lisbon, and visiting professor appointments at the Institute of Technology of the University of Lisbon and at the Massachusetts Institute of Technology Sloan School of Management. His research focuses on mathematical optimization, predictive and prescriptive analytics, and high-performance computing. Rego’s publications have appeared in books and in leading journals on optimization such as the European Journal of Operational Research, the Journal of the Operational Research Society, Parallel Computing, Computers & OR, Computers & IE, Annals of OR, IEEE Intelligent Systems, OR Spectrum, Applied Soft Computing, Journal of Heuristics, Networks, and Management Science. Rego has served on several scientific committees, including a review panel for the National Science Foundation, and the National Sciences and Engineering Research Council of Canada, and also has served as examiner on several doctoral dissertations in Europe, the U.S. and Canada. He has organized and chaired numerous sessions and clusters in international conferences, and has served as an invited speaker in numerous tutorials and plenary sessions.